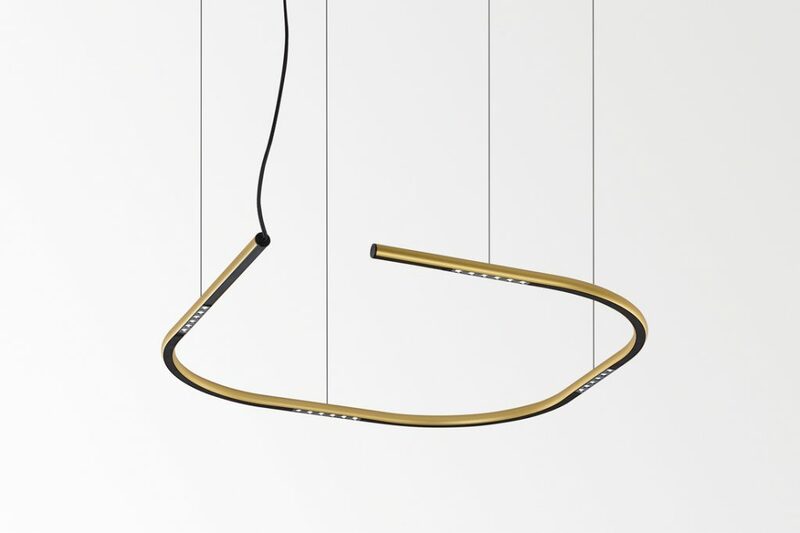 Euroluce returns to the Salone del Mobile Milan. 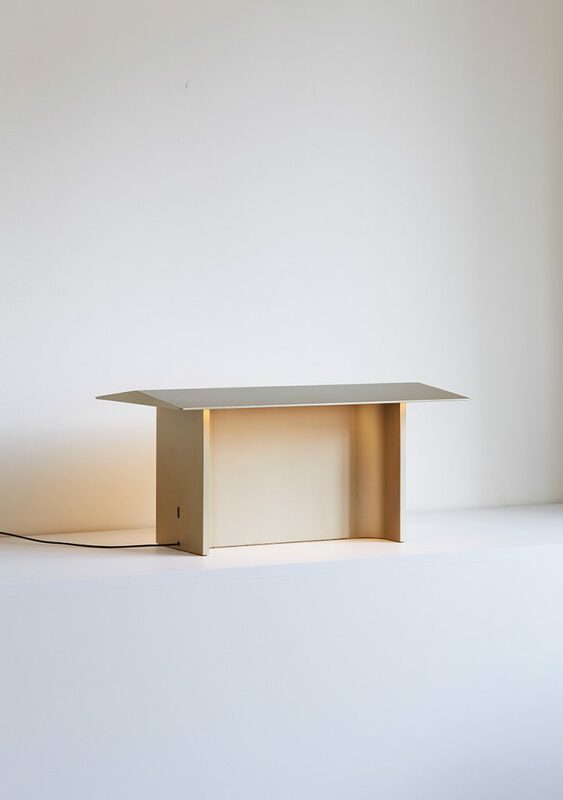 We round up the latest releases from the biggest to the smallest brands from around the world. 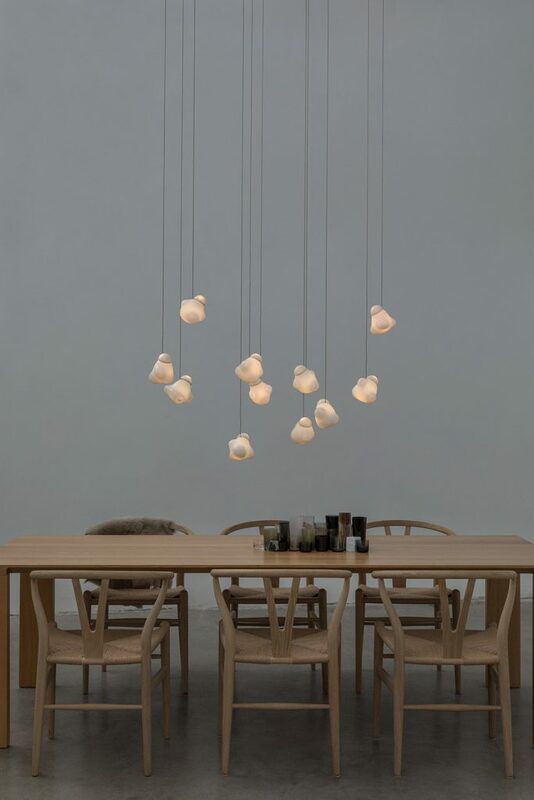 Three new light offerings have been presented by Bocci at this year’s Euroluce. 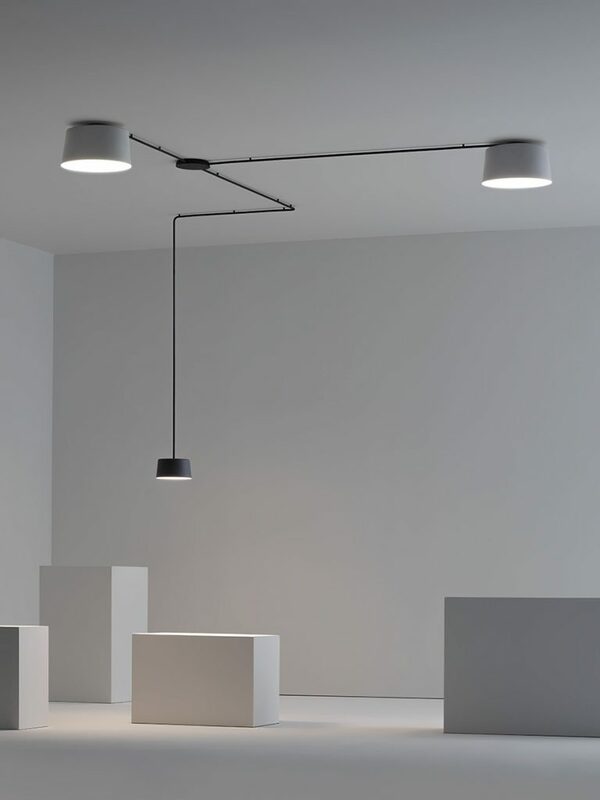 One of the more innovative releases is 74 – a magnetic LED spotlight system. 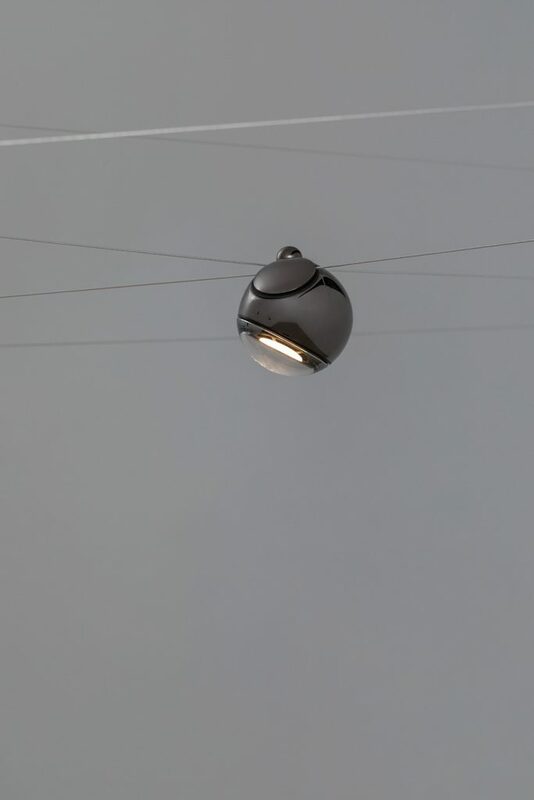 Envisioned as an alternative to more traditional track lighting 74 features mirrored spheres that stay in place by magnets. 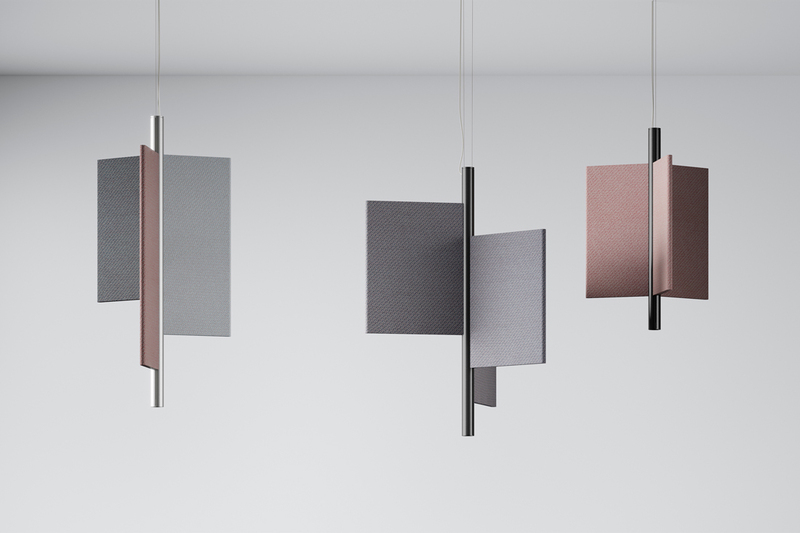 Other new releases include 73V, an update to the ethereal ceiling light, which now comes in a new shape and colour options. 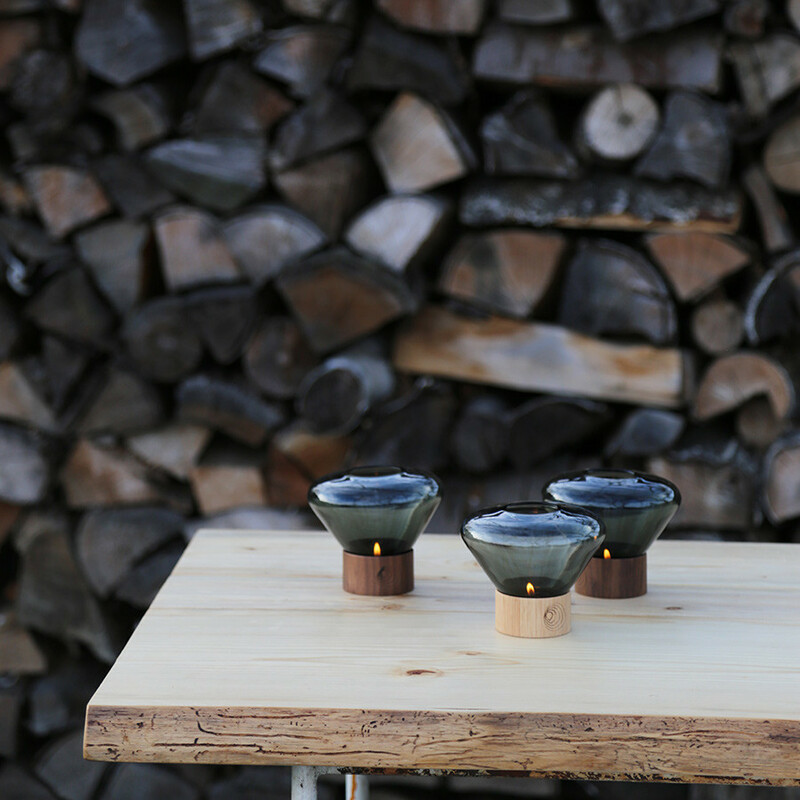 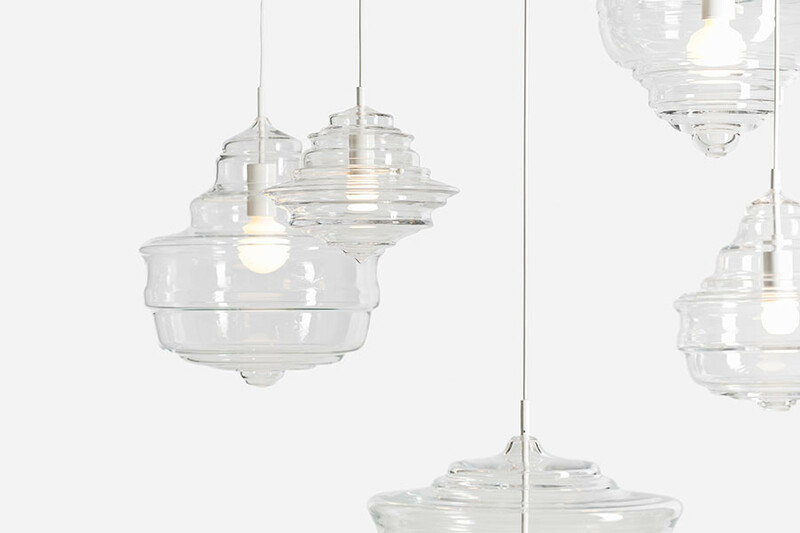 And rounding out the set is a new release of 57 (57V) featuring opaline glass. 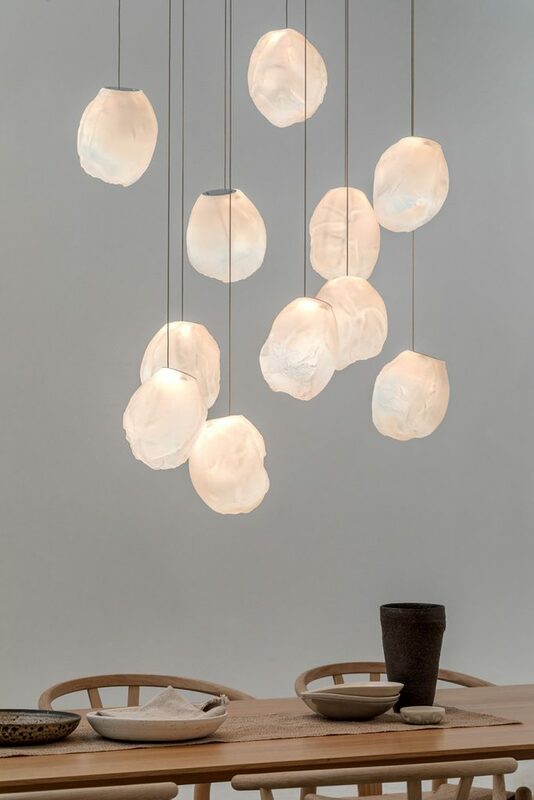 Each new light is being showcased on a 400-square-metre stand, designed by Omer Arbel. 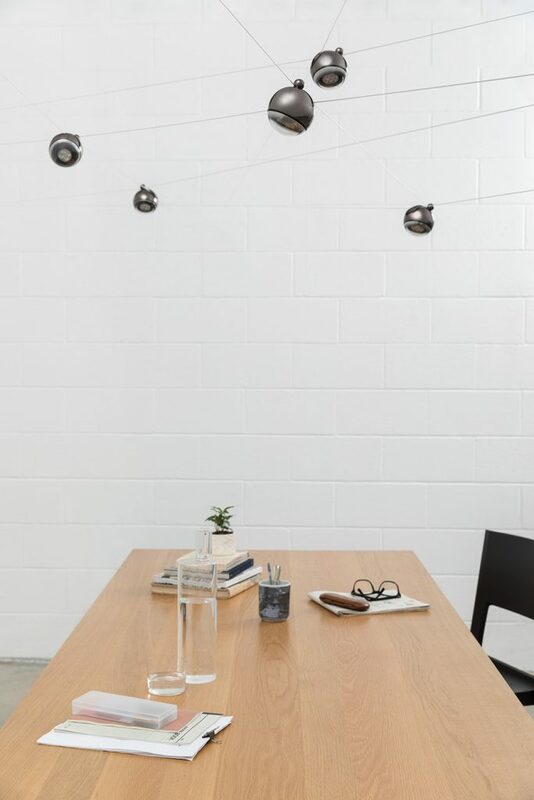 In Singapore, Bocci is available from Space Furniture. 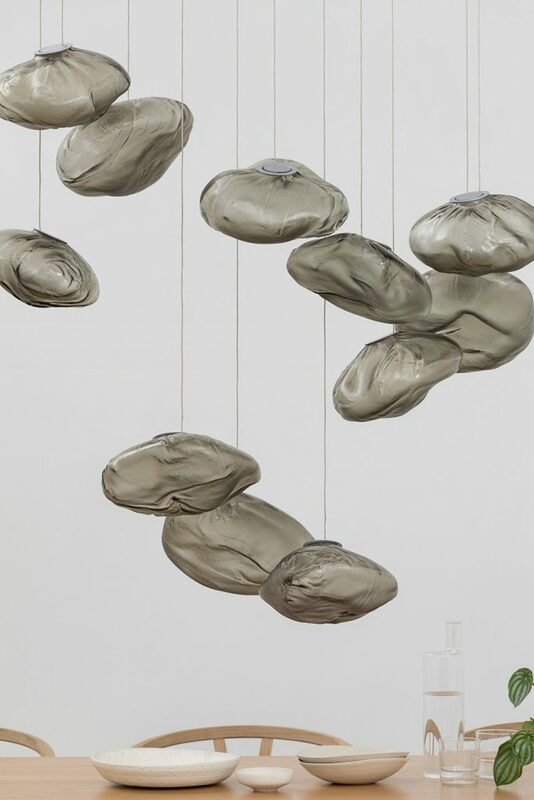 In Singapore, Brokis is carried by Dream. 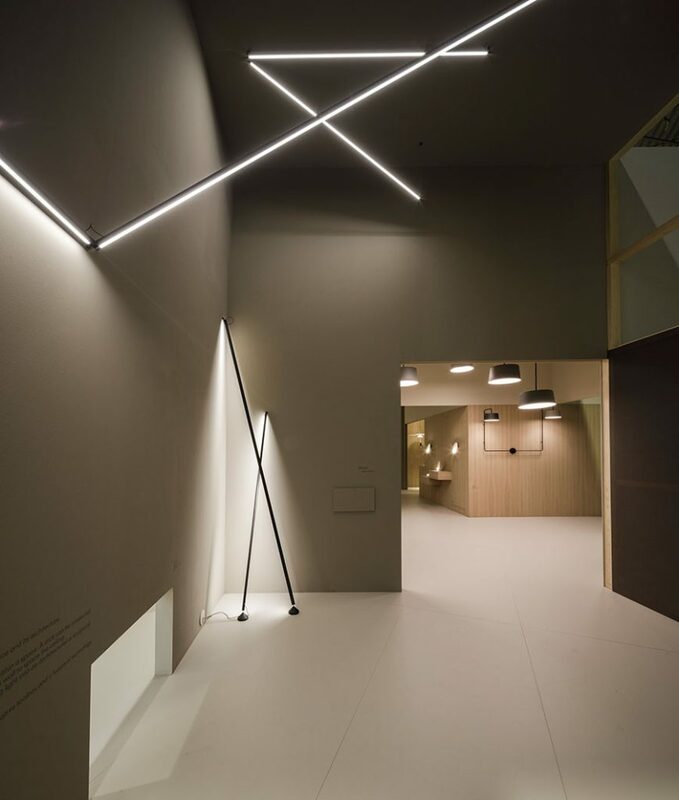 Belgian architectural lighting brand Delta Light has several activations across the city, including collaborations and installations with Starbucks, Gessi, Bugatti and the Belgian Design showcase. 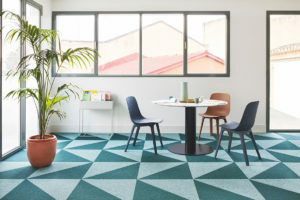 The brand has also opened a new studio in Tortona – so what better time to do an official launch than at FuoriSalone. 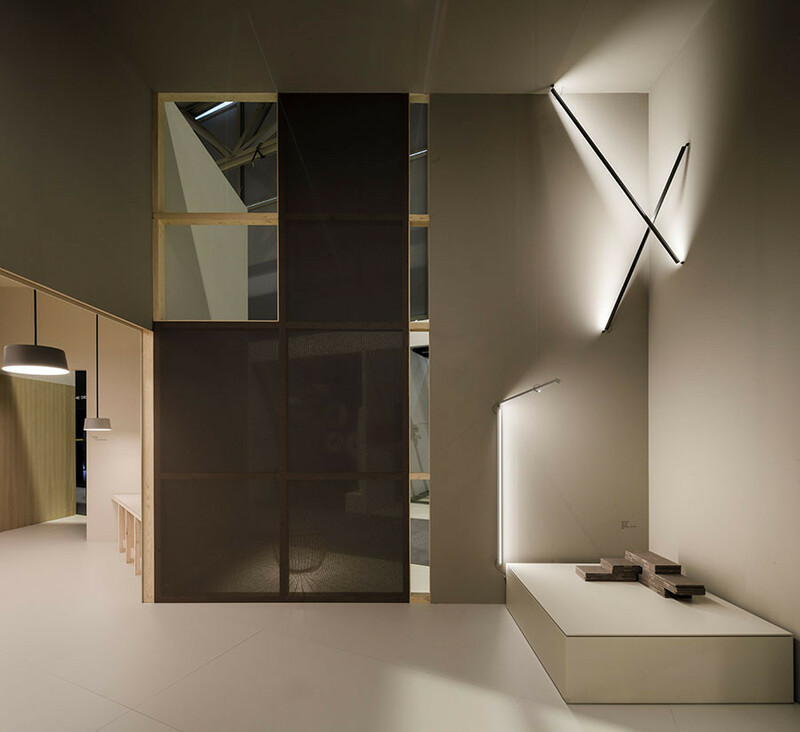 Combining education and installation, the Delta Light studio is a hub within the Tortona Design District. 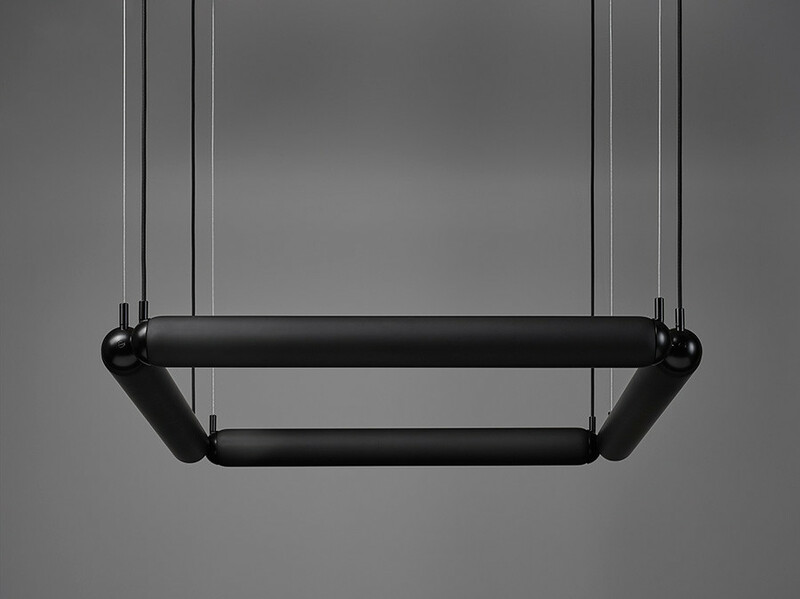 Nine new products are on show in Tortona, with highlights being Lass-oh, Breess and XY180. 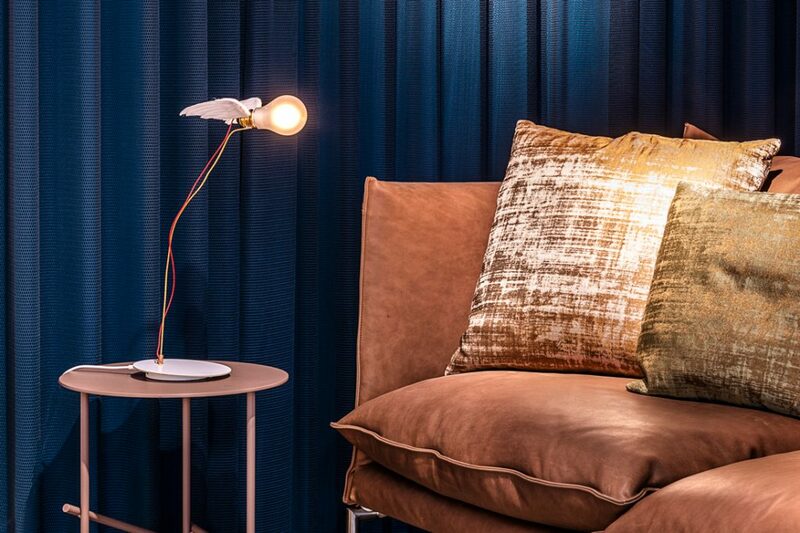 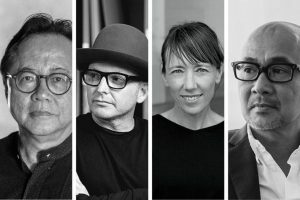 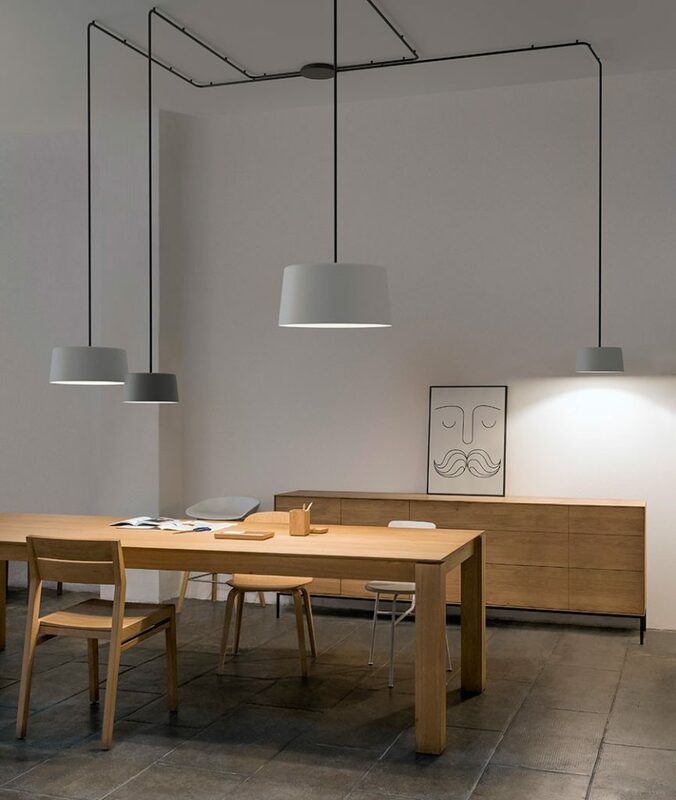 For the 2019 Euroluce Flos has partnered with Louis Poulsen and B&B Italia to showcase the ‘Design Holding’. 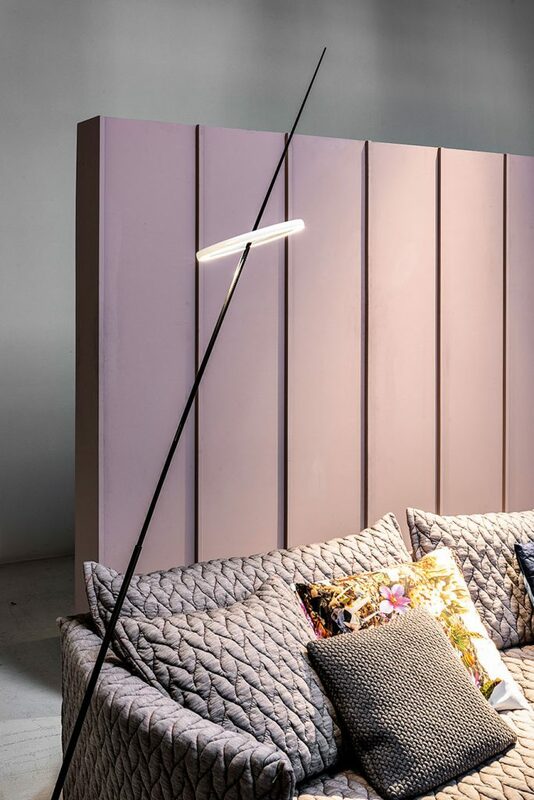 With such design heavyweights all banding together there is plenty of outstanding design on offer. 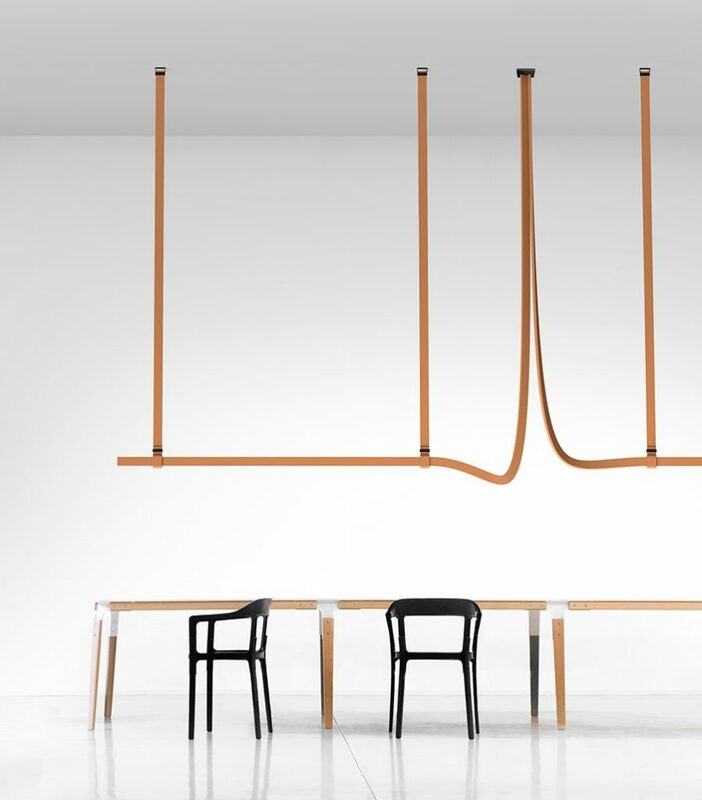 The all-encompassing booth has been designed by Calvi Brambilla. 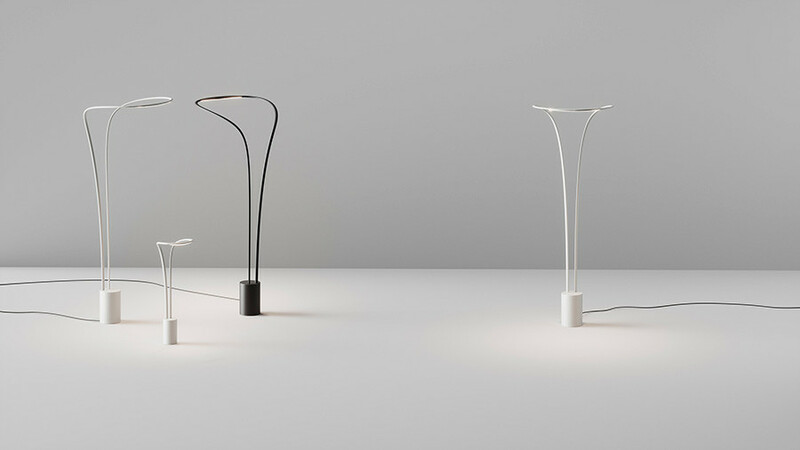 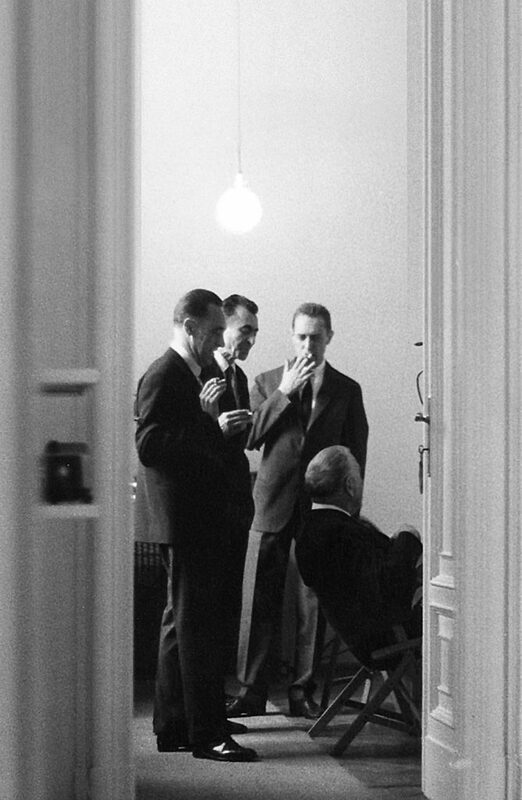 Flos is showing a re-edition of the Chiara lamp by Mario Bellini to celebrate 50 years. 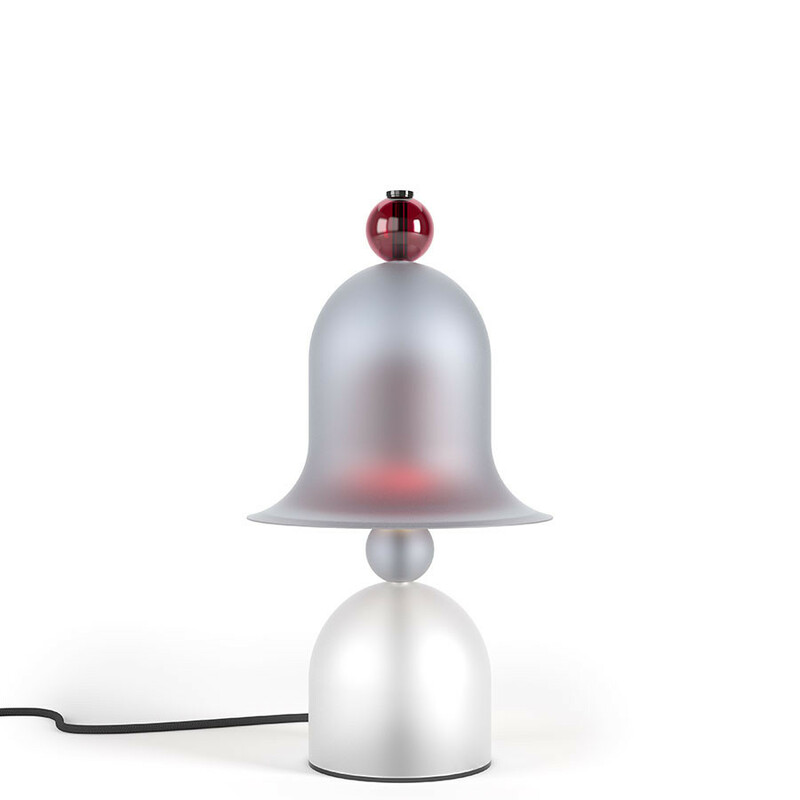 Another classic will also be presented, the first edition of Achille and Pier Giacomo Castiglioni’s Bulbo lamp. 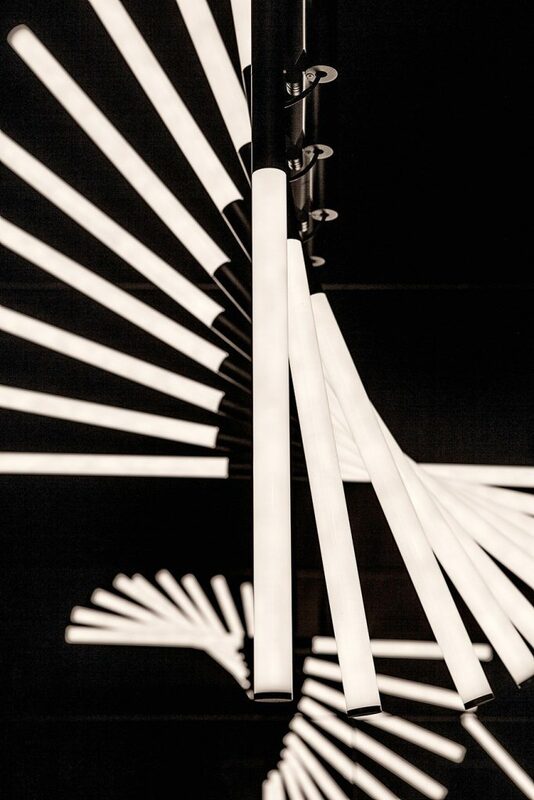 A crowd favourite is Formafantasma’s Wireline. 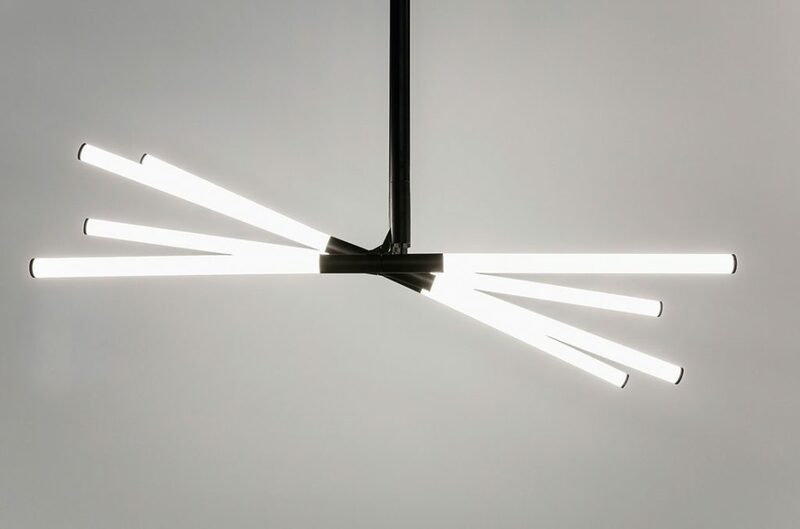 In Singapore, Flos is available from Space Furniture, P5 and Royal Interiors. 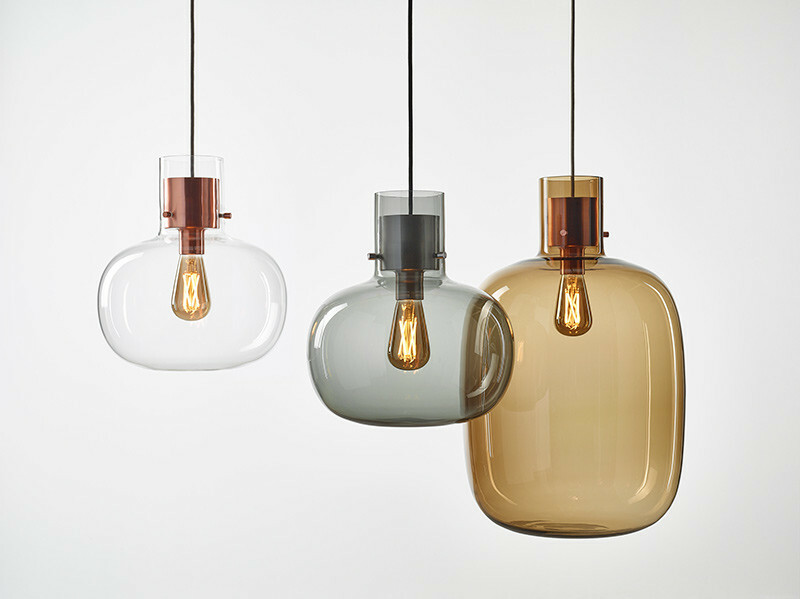 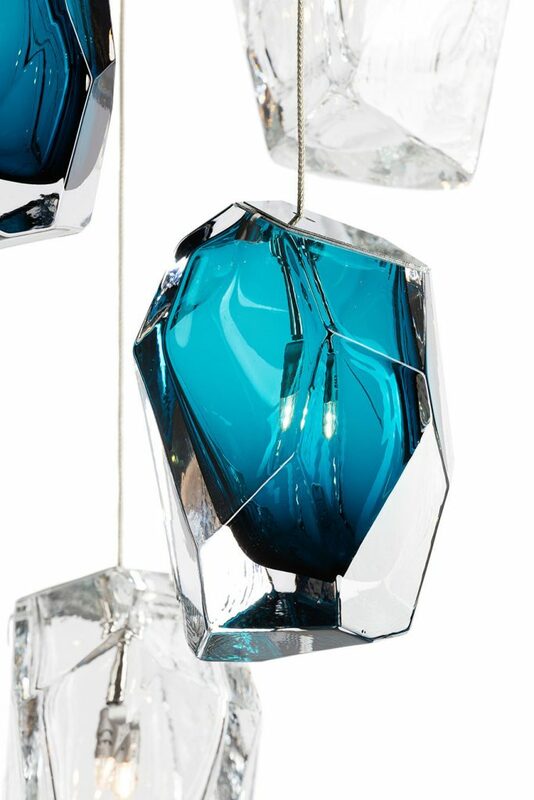 Another Bohemian glass lighting brand showing the latest products in Milan is Lasvit. 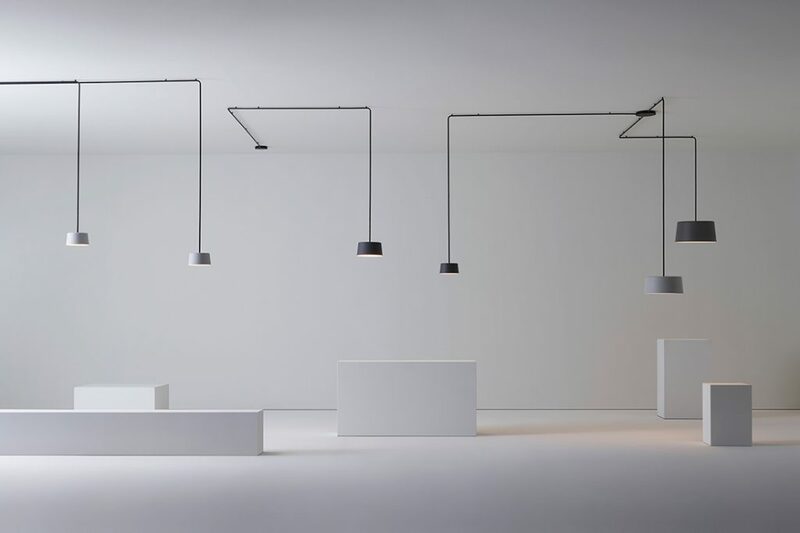 Putting forward four installations under the banner of ‘The theory of light’, each presentation of the different pendant lights offers an extravagant elegance. 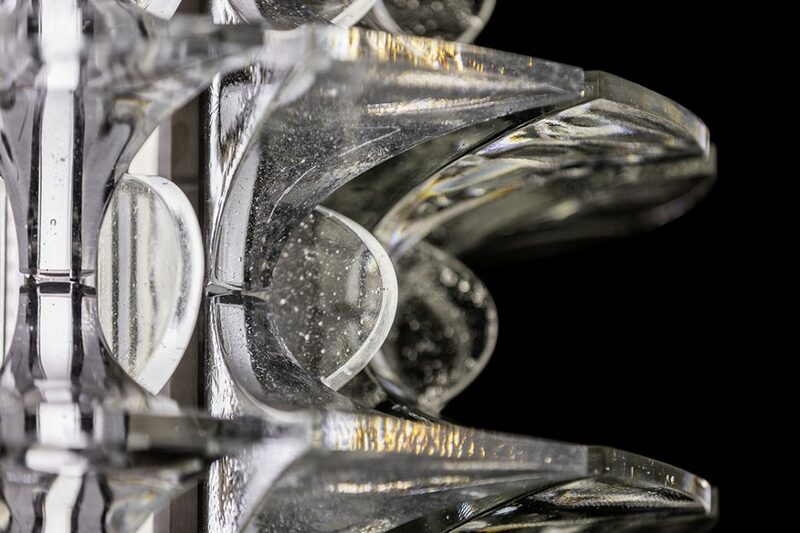 The four installations are titled reflection, perception, spectrum and nature. 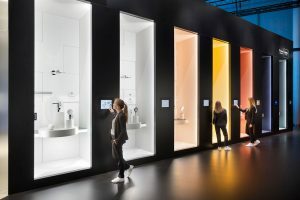 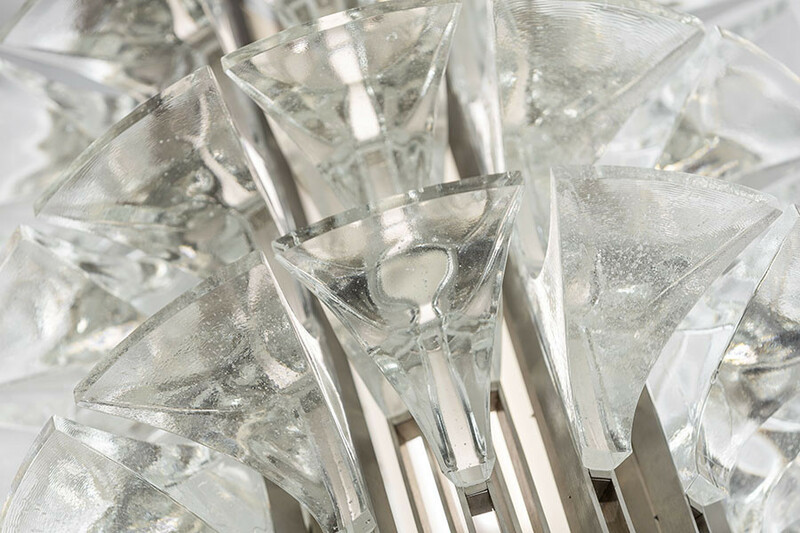 “All four lighting installations showcase the unique features of pristine glass,” says president and founder Leon Jakimič. 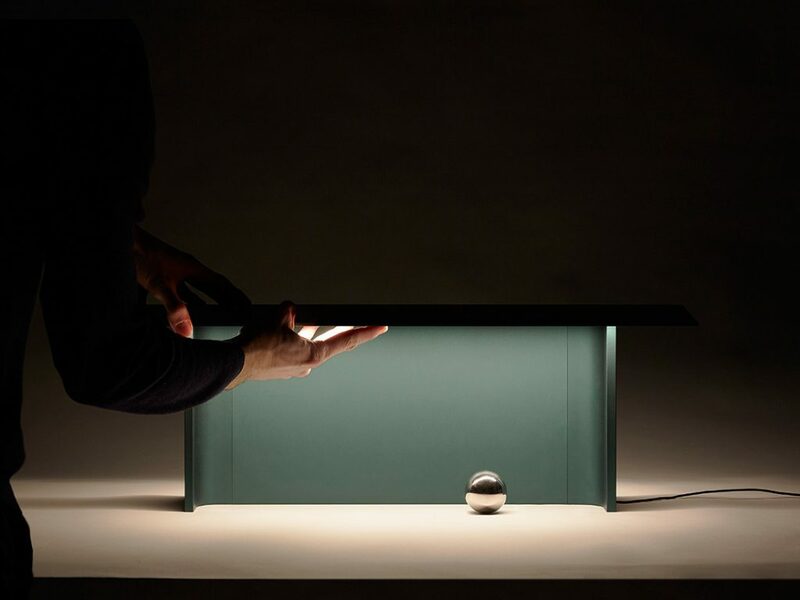 In Singapore, Lasvit is available from W. Atelier. 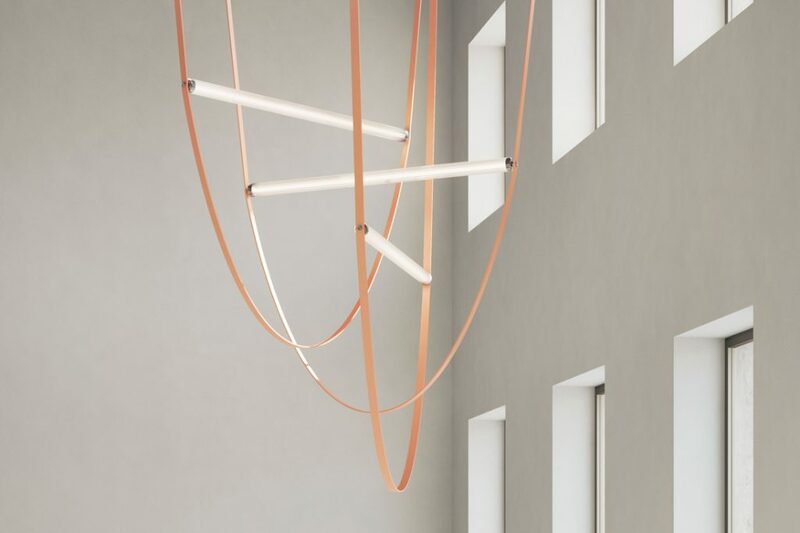 Luceplan presents seven new lighting products, each vastly unique and designed by an eclectic mix of designers. 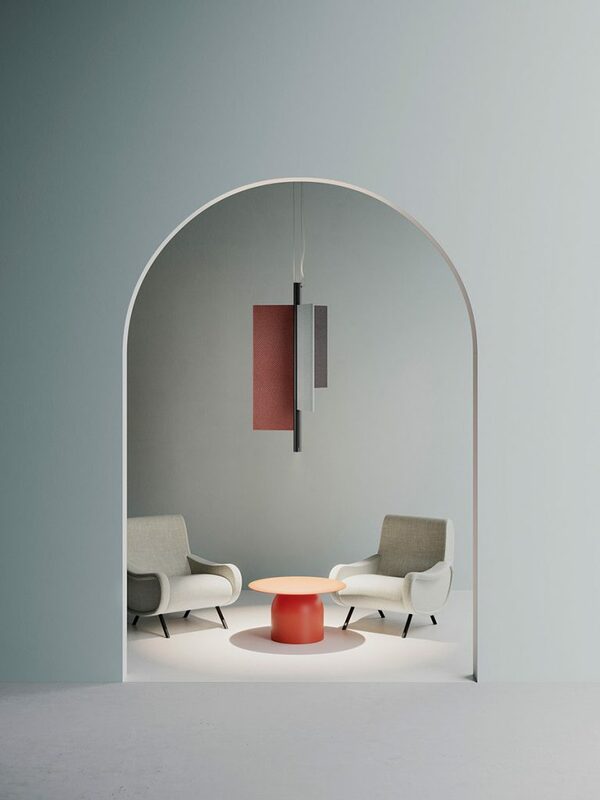 Trypta, designed by our 2019 INDE.Awards Judge Stephen Burks, features strong geometries softened by upholstery. “Trypta’s central column serves as an illuminating axis around which three tactile fabric planes create a welcoming environment by defining space both graphically and acoustically,” says Burks. 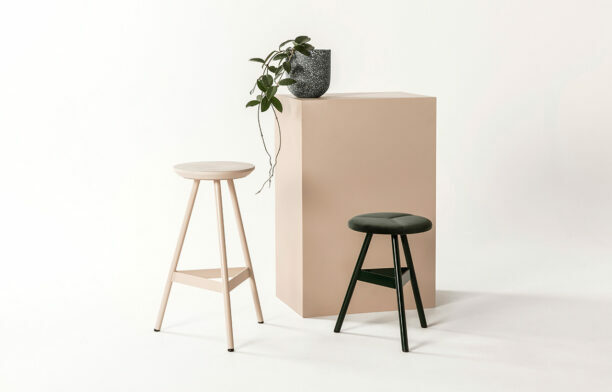 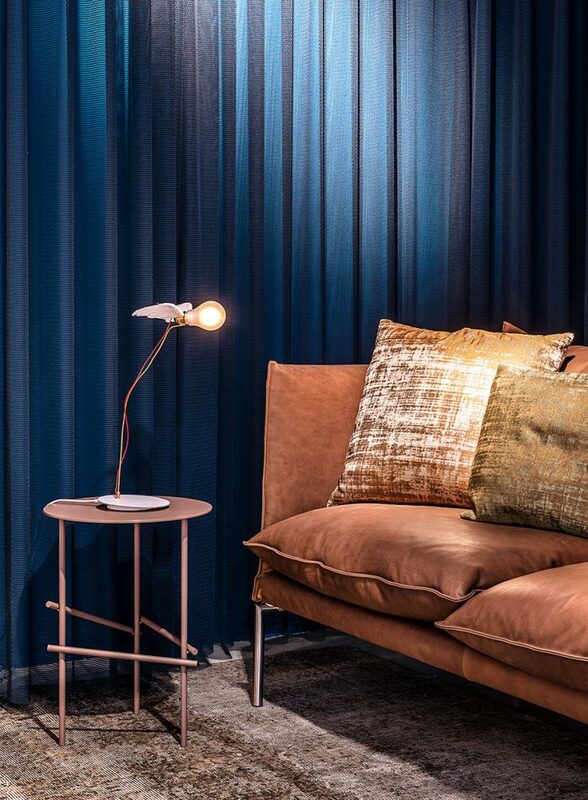 Other highlights include Fienile, which is a new family of products generated by the long-term collaboration with Daniel Rybakken and inspired by traditional Norwegian farmhouses. 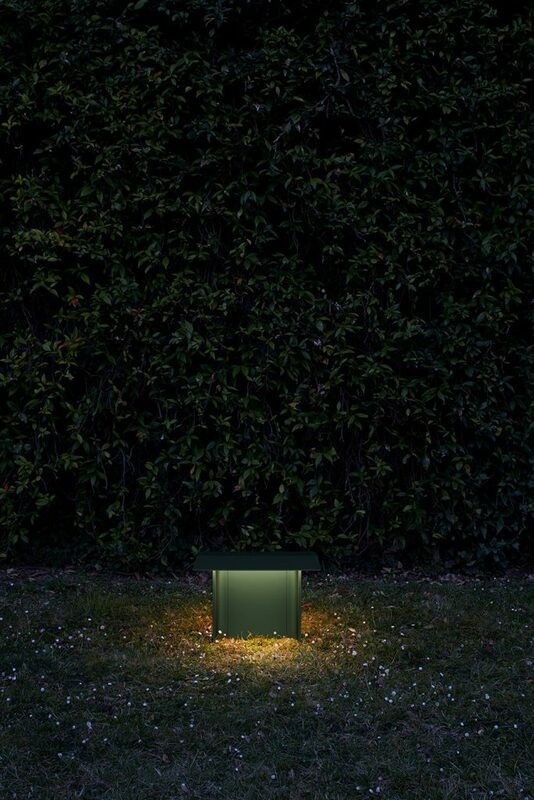 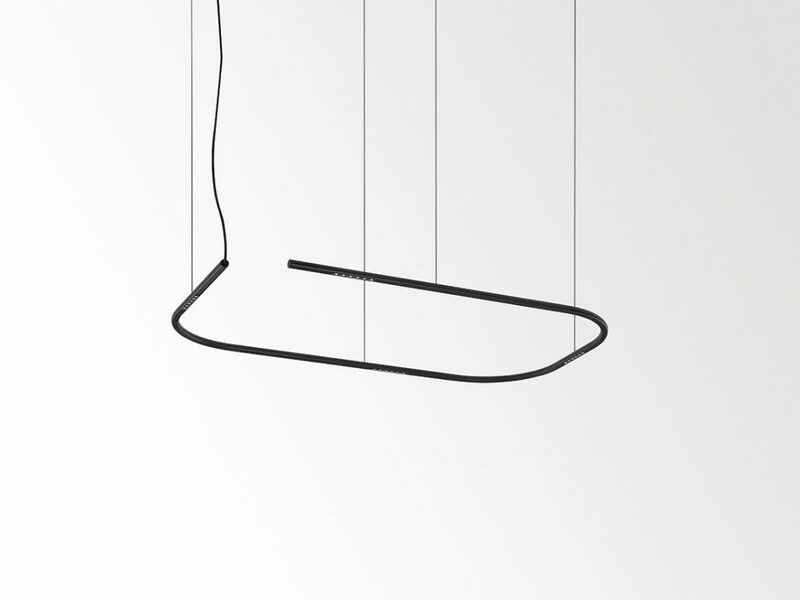 And Amidaba by Diego Sferrazza is an indoor/outdoor lamp with a distinctive swooping detail. 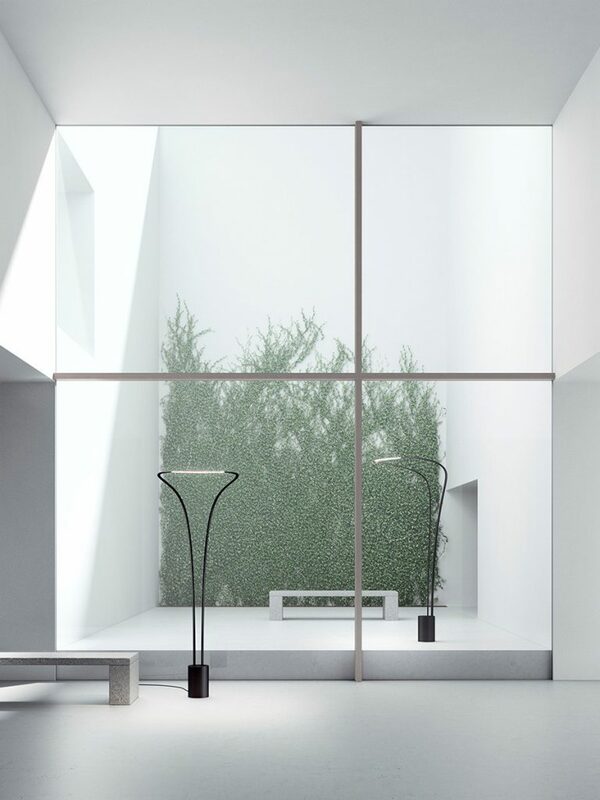 In Singapore, Luceplan is available from Million Lighting. 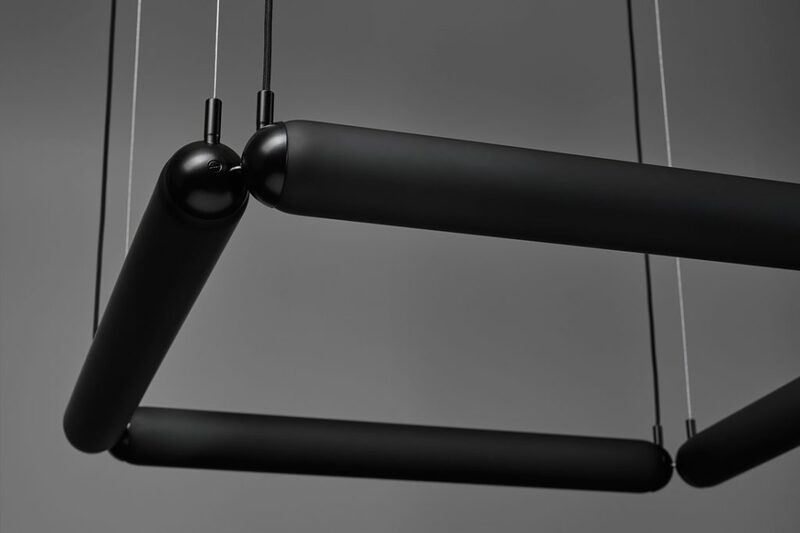 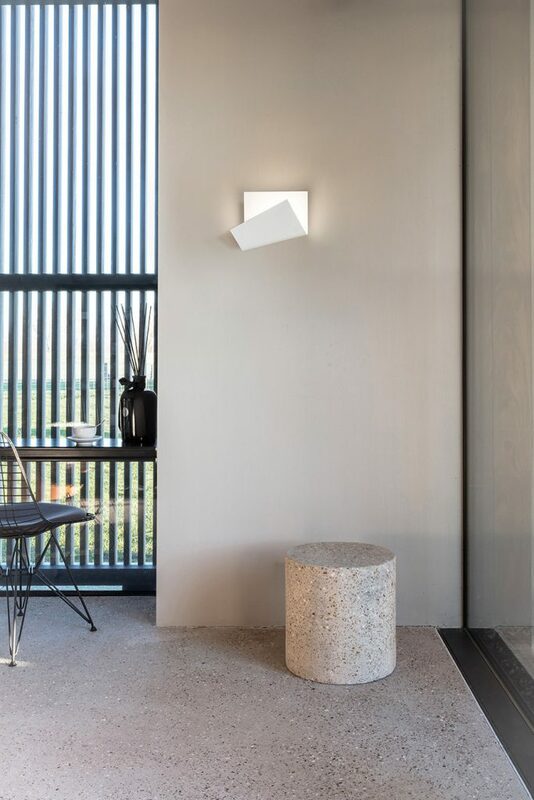 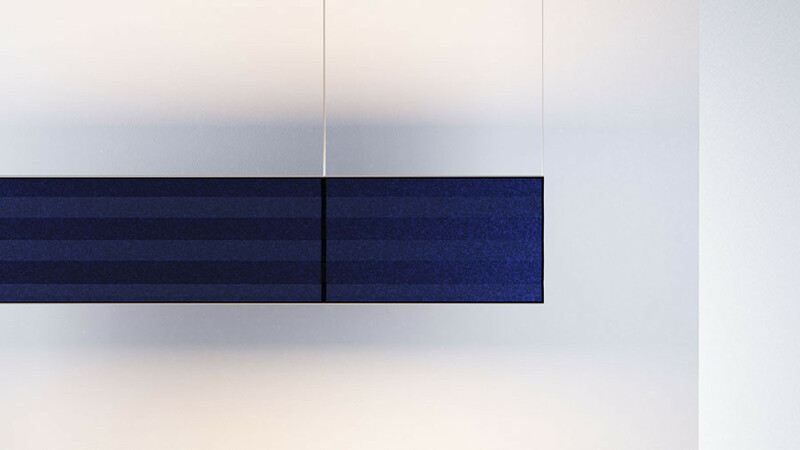 Australian design studio Luxxbox has presented a brand-new acoustic light, designed for esteemed Italian lighting brand Panzeri. 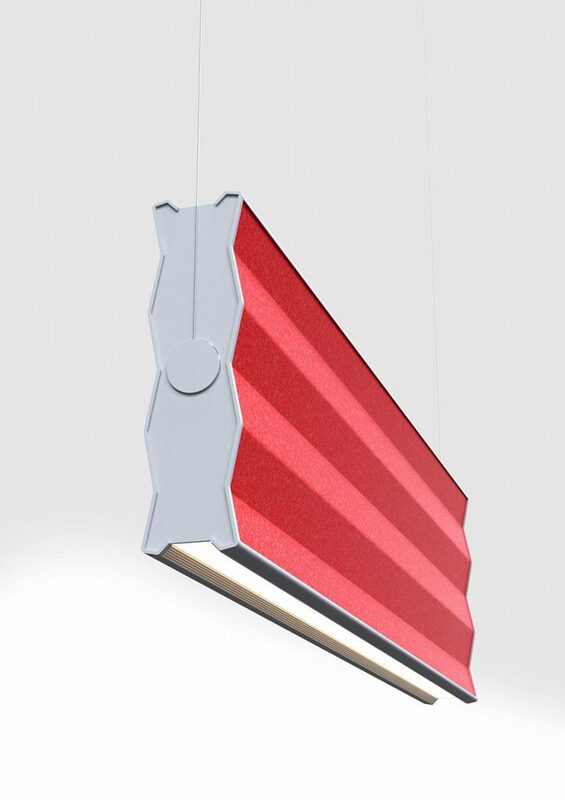 The ZigZag pendant brings Luxxbox’s signature skill in acoustic lighting to the European company with the sound-absorbing pendant being manufactured in recycled plastic. 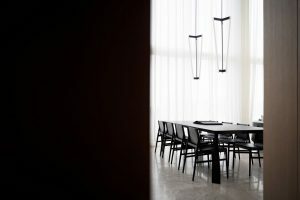 The project is the culmination of a working relationship between Luxxbox’s founder Jason Bird and Panzeri that all started from conversation many years ago. 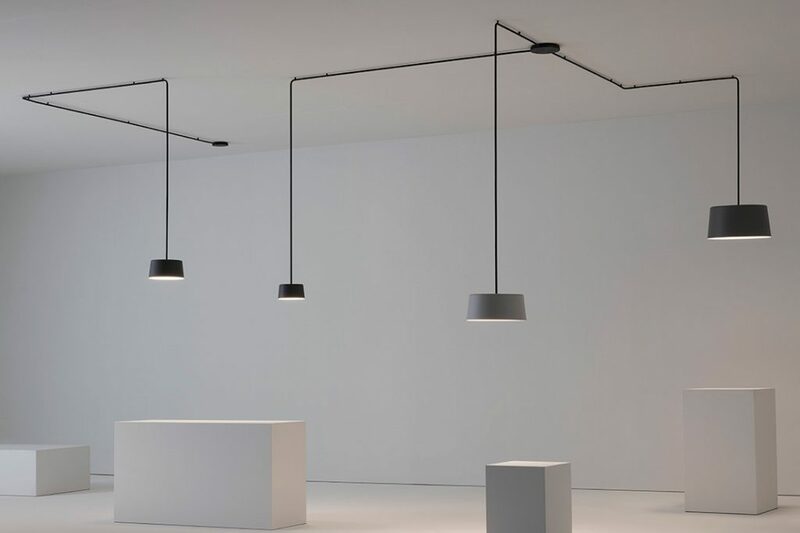 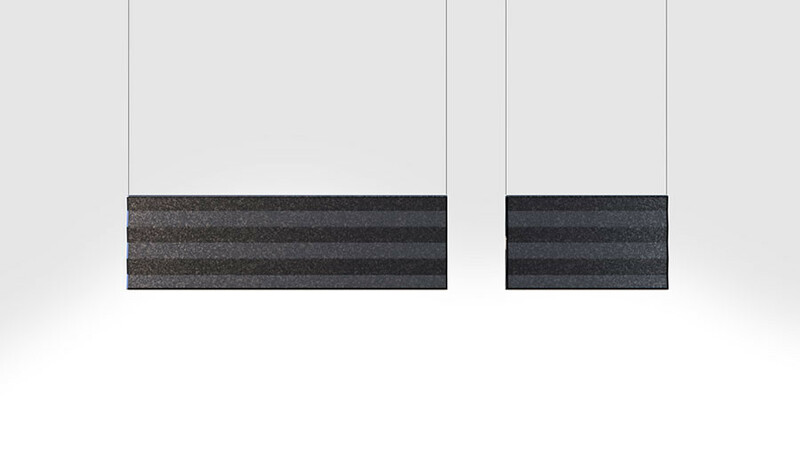 “I’ve been working in the acoustic lighting market for several years and identified that there was a need for a linear form in this product category. 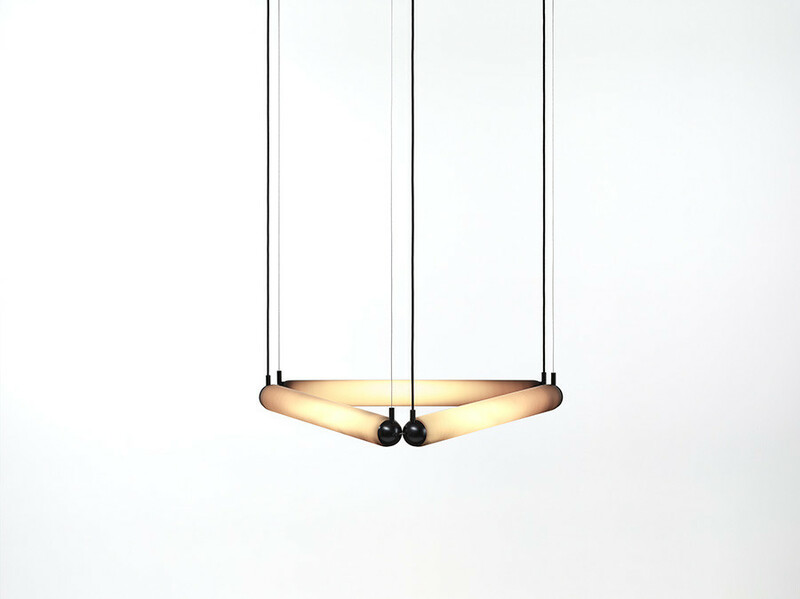 I wanted a simple shape, refined and elegant but that could also maximise acoustic and lighting performance,” says Jason Bird. 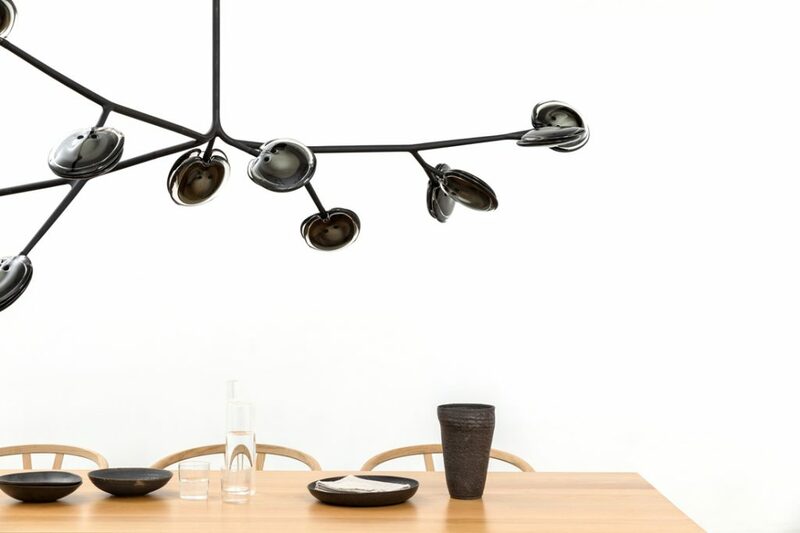 Not strictly part of the Euroluce at Rho Fiera but still worth mentioning, German lighting designer Ingo Maurer has partnered with Moroso to light up the Moroso showroom in Brera. 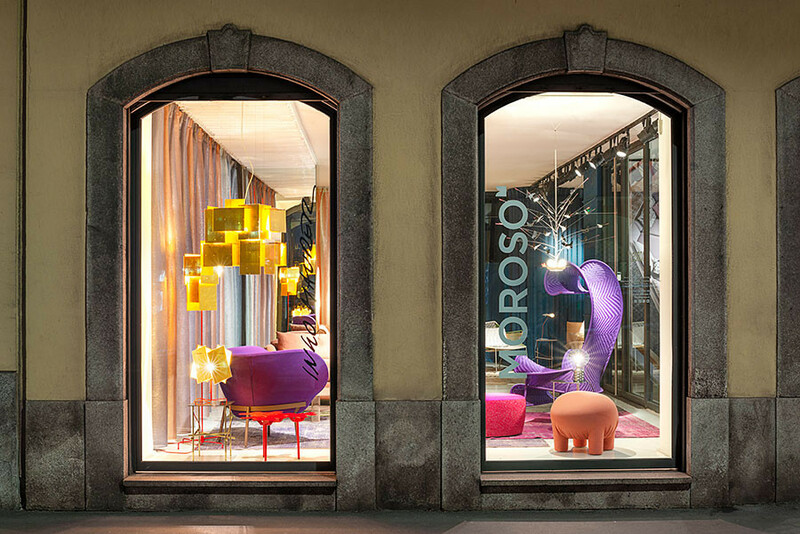 For the first time, iconic products from both brands have been styled and displayed side by side in a joint project. 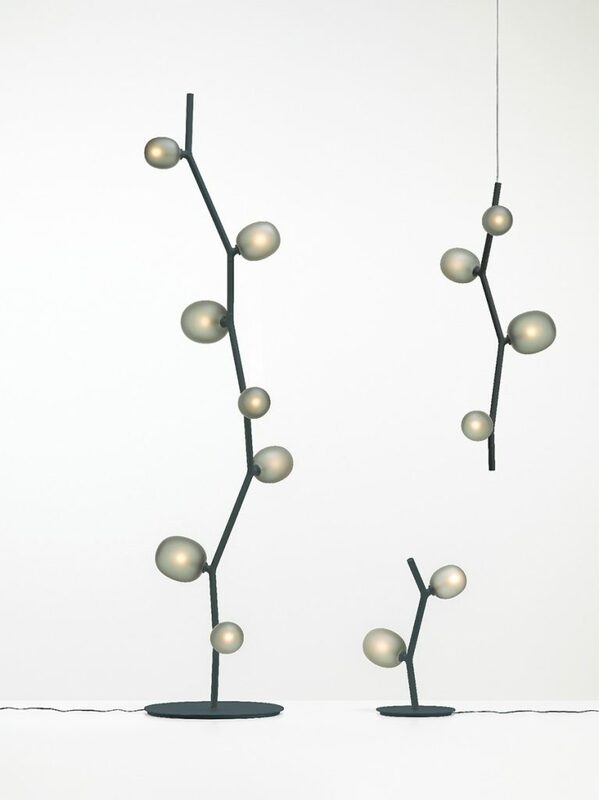 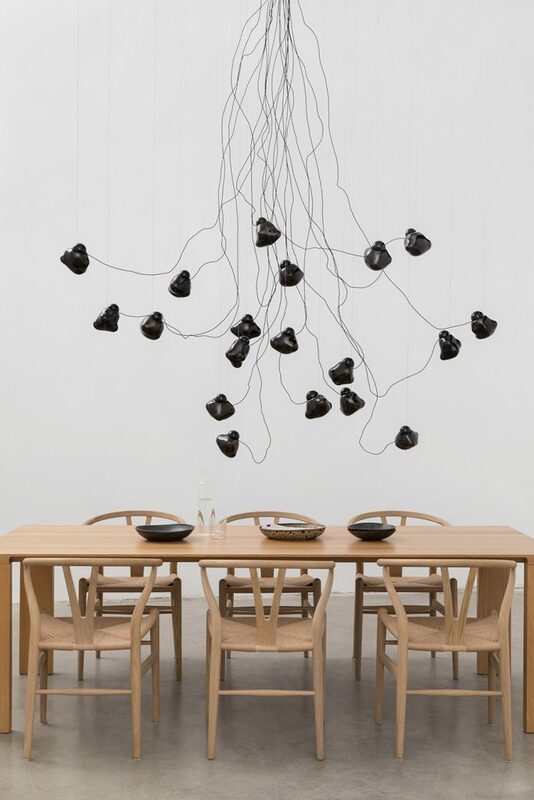 In Singapore, Ingo Maurer is available at Space Furniture. 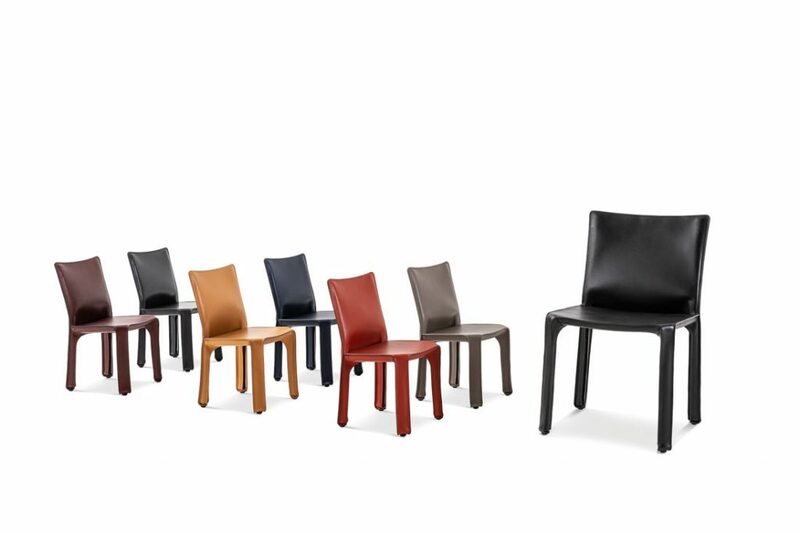 Moroso is available from Xtra. 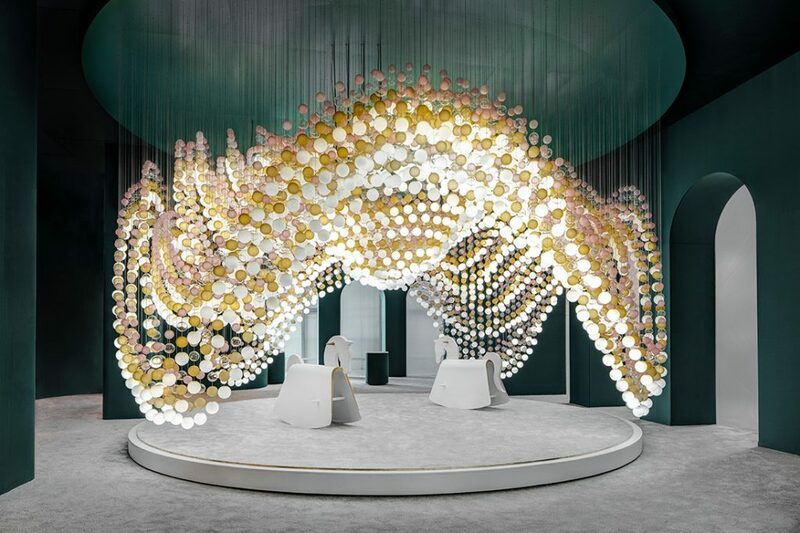 Visitors to the stand of crystal chandelier company Preciosa can immerse themselves in the wonder of 8000 glass spheres hanging in a unique arrangement – calling forth the joy of a carousel ride. 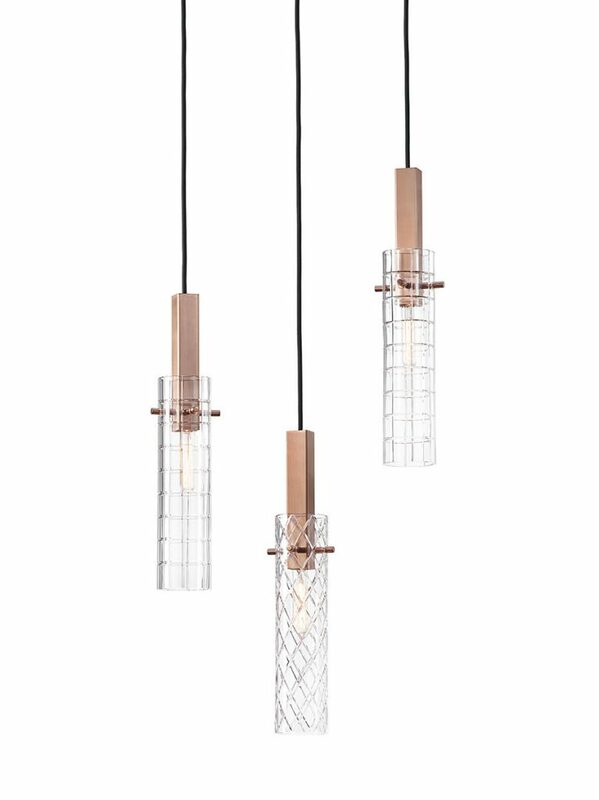 In addition to creating the carousel of light, Preciosa is presenting a series of new and classic lighting designs in the Bohemian glass-making tradition. 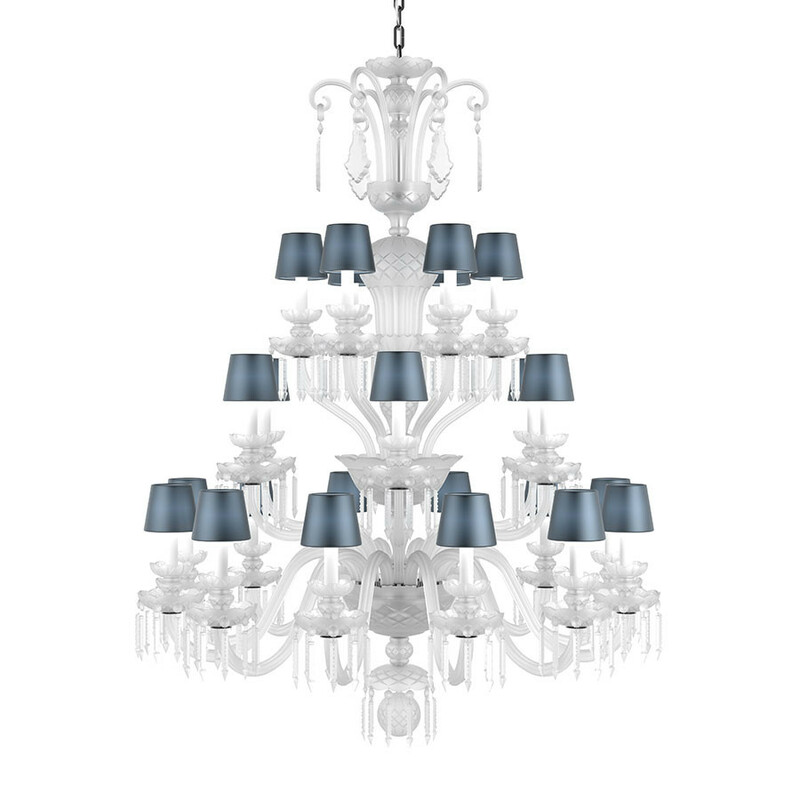 New releases include the Siren table lamp, and an update to the classic chandeliers Eugene and Rudolf. 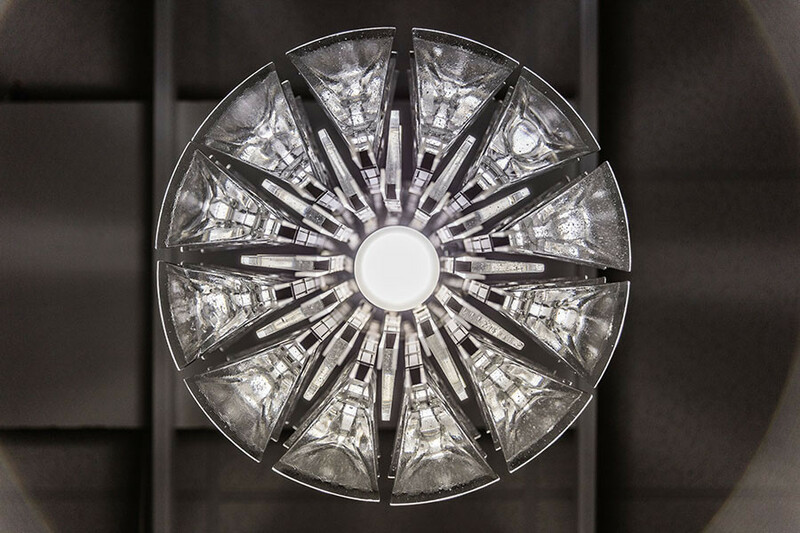 The Spanish favourites have been a crowd-pleaser this Euroluce. 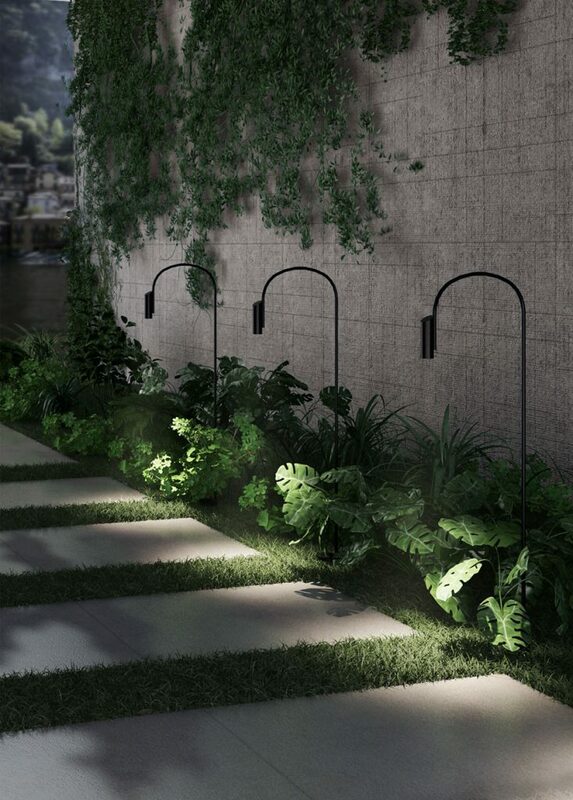 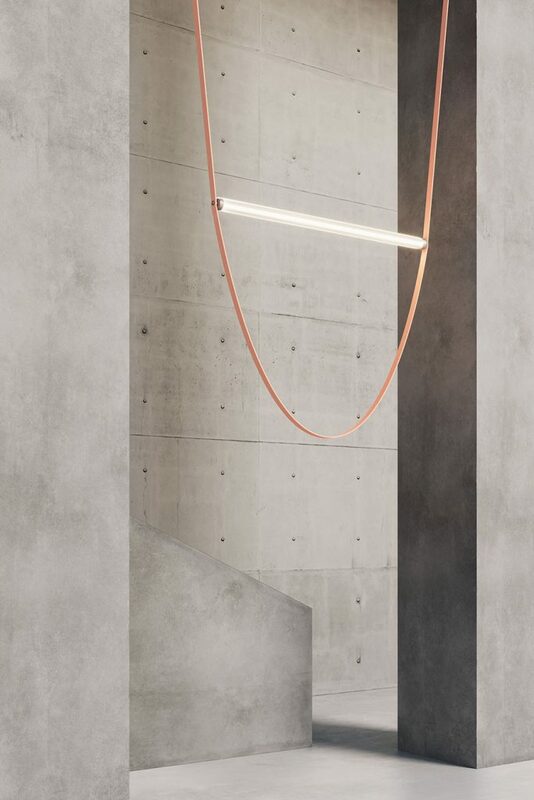 The latest release from Vibia in 2019 is Tube designed by Ichiro Iwasaki: “The lighting system channels the light extending horizontally and vertically to different heights in a fluid fashion.” Tube can be designed to create a lighting landscape with distinctive conduits and grids – inspired by urbanism. 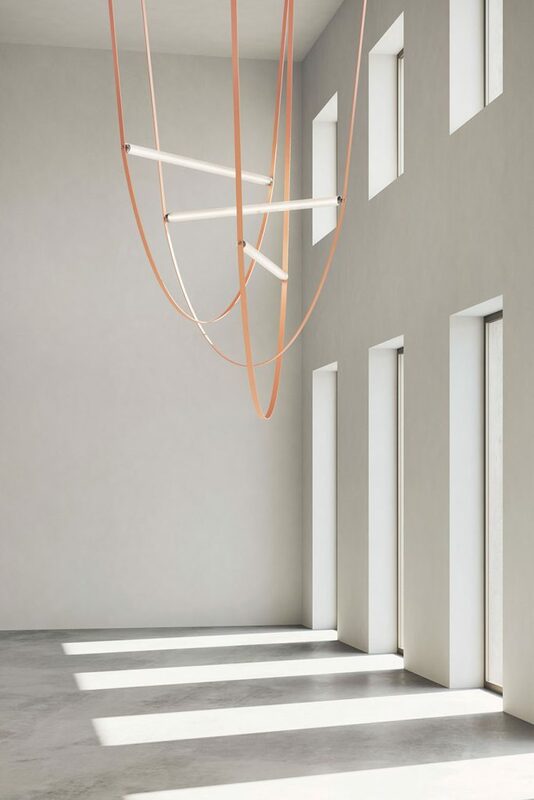 “The name of the collection derives from the system of tubes but also from the lines and intersections generated that recall the typical way that underground or subway maps are illustrated,” shares Iwasaki. 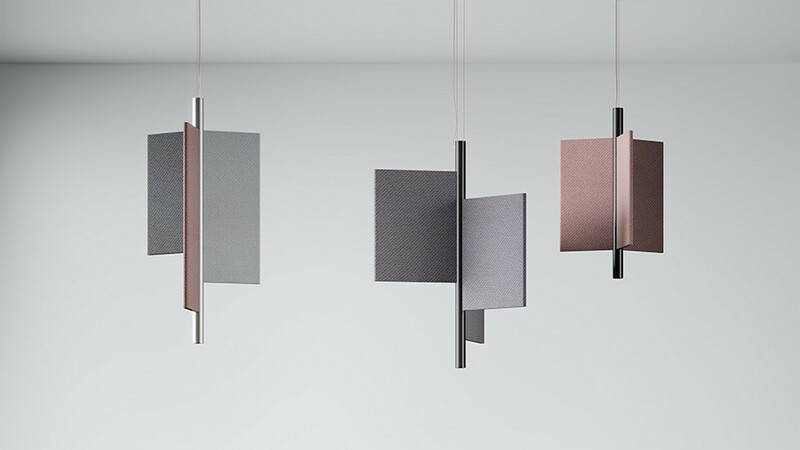 In Singapore, Vibia is available from Gamut and Spextrum. 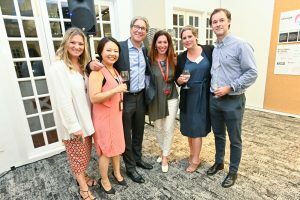 Andy Cohen, Co-CEO of Gensler, was in town to mark the milestone for the global firm’s Asia Pacific hub studio. 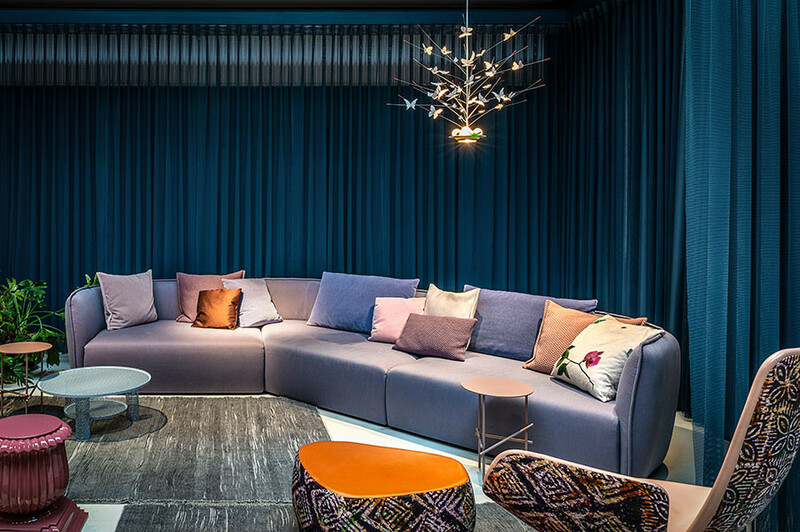 The sixth edition of Interior Design Confederation Singapore’s Design Excellence Awards bestowed a total of 69 awards across 35 categories.